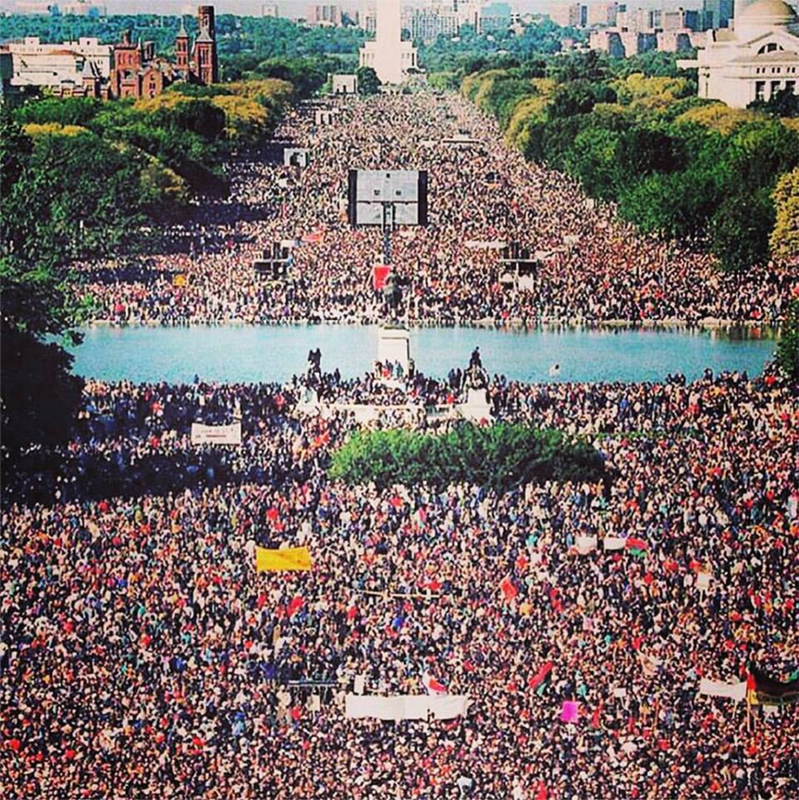 This is one of the best photos I’ve seen from the Million Man March that took place this year, as this was also the 20th anniversary of the original march, which I also attended. And although I didn’t get an opportunity to enjoy all of the speakers, live, I still felt a good energy and vibe, which is what I was looking for. This feeling was also amplified with the many families and women I saw, as opposed to the first march, which, as was the point, was mainly comprised of men. There’s a great power in unity and this unity comes from a strong support system and that support system should include your family (women and children). I think this unity is also scary because of, not only, the strength that I mentioned above, but it being a positive force, which is why there was a complete media blackout (which was by design) from pretty much all of the major news networks and web platforms: pre-march, during the march, and with only a small few providing post march coverage. The sister of Sandra Bland said it best, “we have to control our narrative,” which is exactly what I’m doing and I encourage others to do so as well because this moment is part of a bigger movement that’s apart of American history and needs to be both documented and shared correctly. If you missed the march you can watch it, and the various speakers, by going to www.justiceorelse.com.